The more historic September to May season still promises much, not least the book-ends of Anthony Joshua fights in sold out stadia, first versus Alexander Povetkin and then in April, back at Wembley, against someone who isn’t Deontay Wilder. 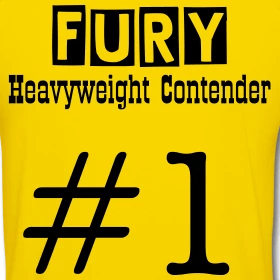 But my thoughts aren’t on the heavyweights, for all the fun the tease of Wilder, Fury and Joshua match ups represent to all fight fans, they currently reside in Mikey Garcia’s myopic focus on fighting Errol Spence Junior. There has been a lot of gnashing of teeth, particularly in the States, at the 30-year old’s reasons, and by consensus, delusion, at talking up the fight. But what about Lomachenko Mikey? Some of this resistance is rooted in the availability of a significant challenge in his presumed more natural division, lightweight, in the form of Vasily Lomachenko. The Ukrainian, on the evidence of his appetite for challenge thus far, would relish the opportunity to assert authority over a fellow pound for pound star and restore unanimity to his own position as number one. In both the Lightweight class, and the hypothetical pound for pound conversation. Further, and with the all to frequent precedent of the past decade or two set by other luminaries who moved through the divisions, there are more lucrative, lower risk options within the talent rich Welterweight class too. Manny Pacquiao being the most obvious cash cow, though a bout with Amir Khan would be a big draw in the UK one could venture. Pitching for Errol Spence, a massive Welterweight, himself quite open to opportunities at Light-Middleweight, and with huge power and celebrated technical skills too, has struck most observers as unnecessarily bold. ‘Madness’, ‘Crazy’ and ‘Impossible’, are a few of the less polite descriptives. The irony in this line of thinking, that Garcia is foolish to pursue such an enormous challenge, is the frustration felt by many of the same observers that too many modern day fighters tread the path of least resistance throughout their careers. Rival sanctioning bodies, promoters and now, viewing platforms, afford every fighter an alternative Goldilocks route; all porridge, but no bears. History also reminds us that in the time of nine weight classes, fights between Lightweights and Welterweights, Welterweights and Middleweights we’re far more commonplace. And lest we forget, one of the true greats, Henry Armstrong simultaneously held the Featherweight, Lightweight and Welterweight titles back when there was only one of each. So, for all the risk inherent to Garcia’s unbeaten record, I am behind his quest and will continue to watch him regardless of the outcome of a bout with the Welterweight champion. Because it is another great complaint of the boxing fraternity that fighters are too often discarded as an attraction once beaten, a reality that undermines fighter’s willingness to risk their 0. If Garcia dares to be great, and he is assured of it in victory, then we must, surely, offer him some of that glow simply for trying should he lose. Or we risk perpetuating all that we dislike about the business decision always outweighing the sporting one. The fly in the ointment of my idealism? That modern day methods of weight making could see Spence weigh in beyond the middleweight limit come fight night.